Elektron’s Model:Samples was always appealing – some of the best bits of an Elektron groovebox, but with a smaller size and price tag. But one limitation might hold you back: six tracks, and only six samples? That changes with an update: now you can change samples inside a pattern. Sample locks are here. Sample locks functionality has been added. 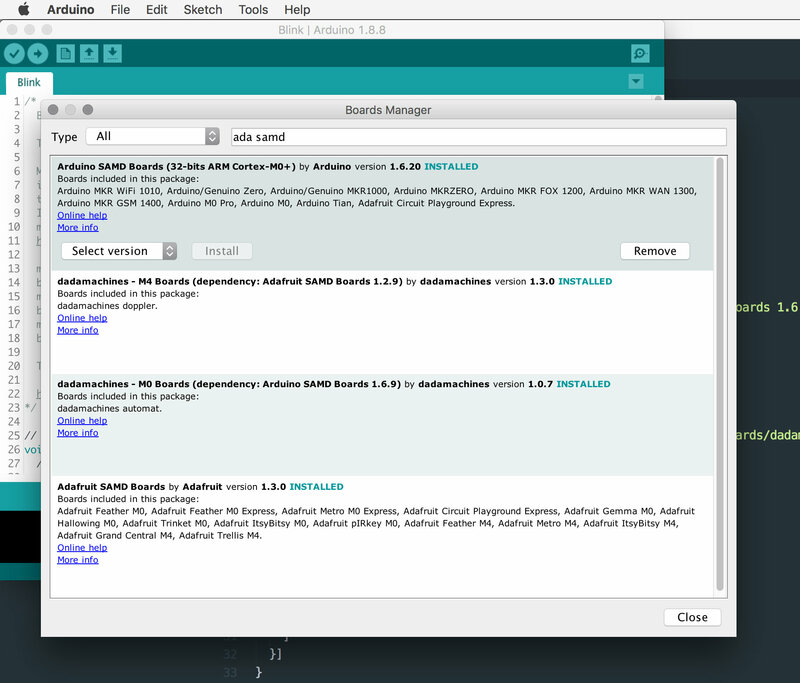 It lets you assign a specific sample on any step of the sequencer. It is possible to sample lock up to 26 different samples in each pattern. But this is a big deal. Six parts with only one sample per part is pretty restrictive. Now, instead, you could take a sample, slice it into 26 bits, and then play the various slices. Or you could slice up melodies. Or you could add more complex percussion parts. The thing is, this is more or less exactly what you want – restricting to six parts can be genuinely musically useful (as more can get overly dense), but now each of those parts need not be quite so, you know, repetitive. This release also includes a number of bug fixes. But sample locks might just be the thing that tempts us over to this device. Keep in mind the 1.01 OS (as we tested) included some other improvements, including separate MIDI channel configuration (ideal for use with other gear) and simplified LFO locks. Sure, it’s still not a sampler – no record capability. And yes, there are boxes that do more. And… well, if you’re on a budget, you should also check out used KORG machines. 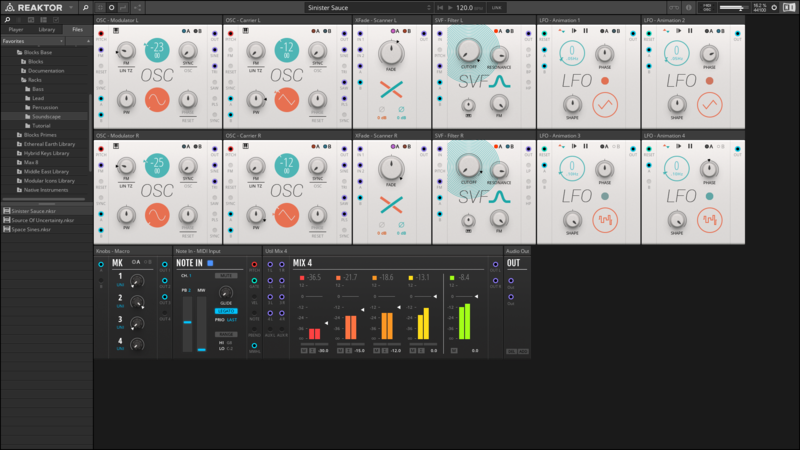 But this is still something unlike anything else at the price, with Elektron workflows and serious polyrhythmic capabilities plus lots of hands-on fun and great sound. 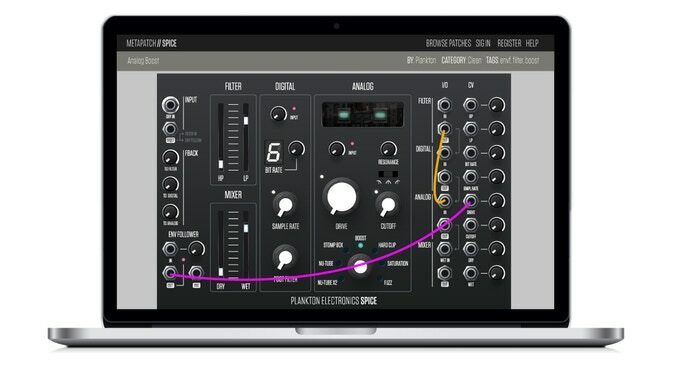 The post Elektron’s Model:Samples just got more useful: change samples per step appeared first on CDM Create Digital Music. The proposed features of this thing already exist on multitrack tape recorders, but the mind reels with other possibilities – looping, sampling, strange custom tape echoes… so to be clear, making a new multitrack cassette deck would be fairly silly, but making a compact instrument built around mechanical-magnetic tape ideas, that could get very cool. The goal, as always: make a box that’s easy to play, and that adds a unique sound and personality that doesn’t exist elsewhere. And then make sure it’s fun to twist knobs and make sounds. That’s geode – coming soon, with an intro price of US$149.95 (plus tax/shipping as applicable). geode more than ever delivers raw, grimy digital sounds that cut as leads and rattle floors as bass, coupled with our signature, screaming resonant analog filter. Let’s have a listen to the sounds of this little box. I constructed a whole track out of layered MeeBlip parts – each percussion hit, each synth noise. It’s all dry, apart from some EQ on the kick drum (just filtering out the very low end and some of the treble). I also made use of the LFO as a kind of impromptu pitch envelope. 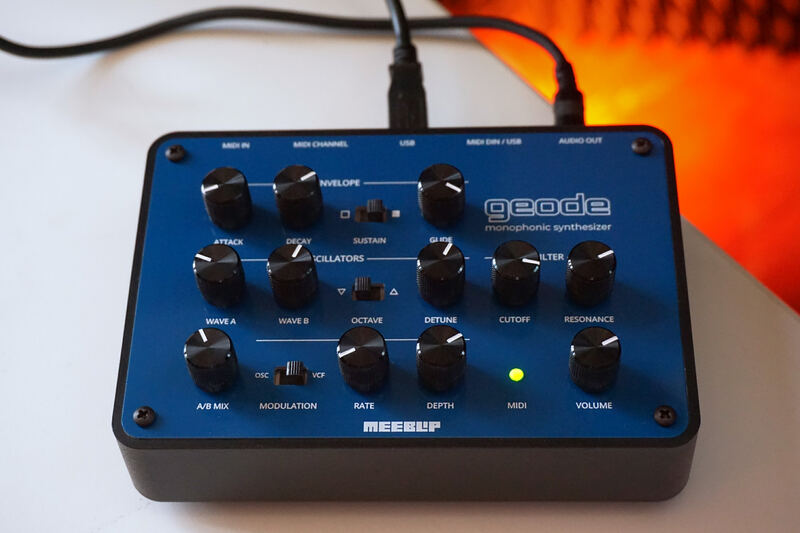 geode is the fourth major generation of the MeeBlip line created by engineer James Grahame (Blipsonic), as a collaboration with CDM. We’ve been humbled by the response – the original/SE, anode, and triode have all seen critical acclaim. 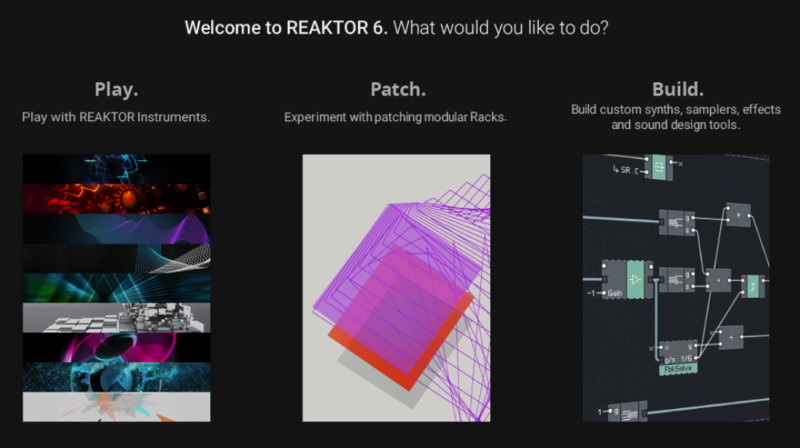 And users have gotten creative, from mods and hacks (including using open source code and circuits), to musical uses in clubs and experimental shows alike. MeeBlip geode is the culmination of all of the best features of all those different generations. It’s got the sound features and extra controls from the original (including bringing noise back), the anode/triode filter that remains unlike what’s on other synths, the most cutting waveforms, and all the subtle improvements James has cooked up over the years. 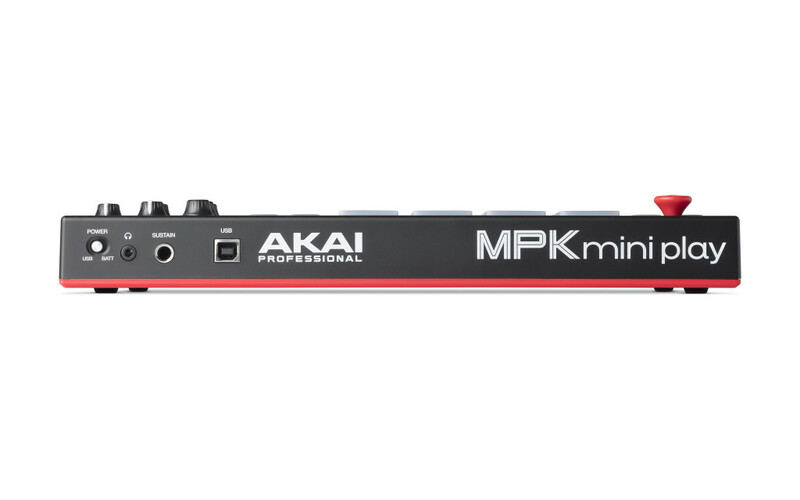 It’s still compact, but expands to a palm-sized rectangle with more controls. It’s got great-feeling new knobs and some new tweaks. 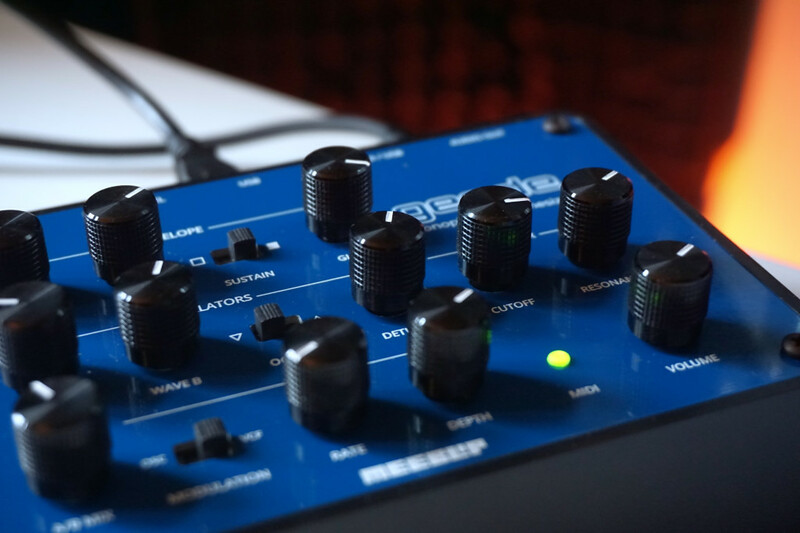 We think the result is a unique, boutique synth, whether it’s your first hardware or the latest of many. We hope you enjoy it. Come visit us at MeeBlip.com – and let me know if you have any questions. 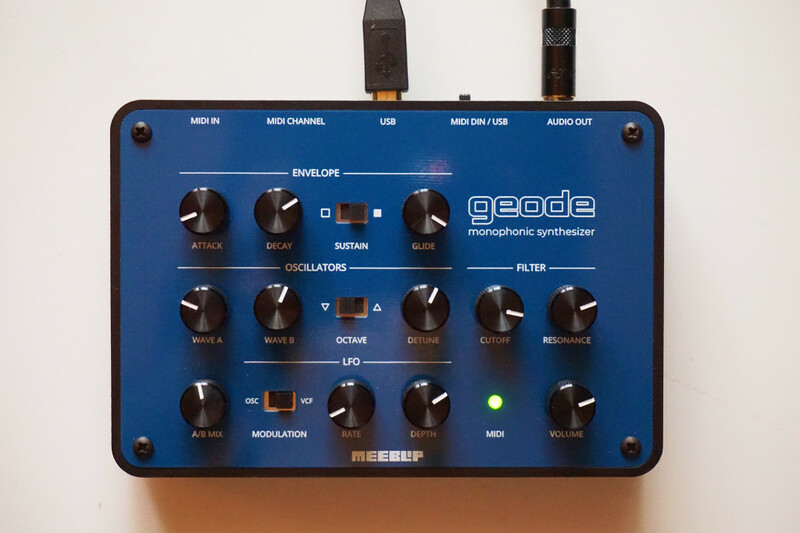 The post MeeBlip geode is the monosynth we always wanted to make appeared first on CDM Create Digital Music. An update to macOS Mojave yesterday promises to “improve reliability” of USB audio on recent Apple hardware, addressing a serious issue many users had flagged. I had heard anecdotally over the past week from macOS beta testers that they had seen the issue disappear after an update. This particular language is fairly tenuous. The symptoms as reported were specific only to Apple’s own hardware, not any other Mac or PC device, and it’d be more comforting to see this listed as a fix than improved reliability. There’s also been no official word from Apple or its partners about the source of the issue, though the culprit appears to be Apple’s own custom silicon which now includes the USB controller. Apple often uses this kind of conservative language in release notes, though, so don’t read too much into that – we just need to test this. It may be too soon to endorse buying the 2018 models until more test data comes in, but it’s at least safe to say, if you’re using USB audio and you have one of these machines, you should probably update your OS immediately. What about OS reliability for sound generally? While we’re talking quality issues and third-party hardware, Native Instruments experienced an issue with Windows updates to Windows 7, 8, and 10 causing TRAKTOR KONTROL S4 Mk2, MASCHINE STUDIO, and all KOMPLETE KONTROL S-Series Mk1 devices to fail to be recognized. That issue, first made public on March 1, was already fixed by March 18. There’s nothing particularly important about bringing that up, except this: while I’d like to see Microsoft (and Apple) make it easier for pro users to opt out of software updates, Microsoft does make it reasonably straightforward to roll back a problematic update to the previous version. Sure, you should backup regularly, but as restoring the backup of the operating system is rarely an easy affair, it makes sense for the OS itself to provide these tools. So in the case of this Windows issue, NI was able to advise customers to reverse the update. Apple hasn’t made a similar feature available. I remain concerned about Apple’s present reliability for audio applications. And I think it’s fair to hold them to a higher bar, given the company tends to charge a premium for its machine and offer fewer choices, in exchange for greater responsibility for the integration of hardware and software. Third parties have told me that Apple have audio devices to test, and obviously the Logic and GarageBand teams all use audio interfaces just like the rest of us (in addition to the hardware people). This isn’t about 90s-style platform wars. (Amiga! Atari ST!) No one wants to see musicians and audio makers having frustrating experiences with sound gear. I do hope Apple gets back on track and stays there. What I can say across the board is this: audio and music users would benefit from more transparency, more detailed up-to-date information on tests, and more control over OS and hardware to avoid problems, on all platforms. The post Apple ships update it says addresses USB audio issues on recent Macs appeared first on CDM Create Digital Music. 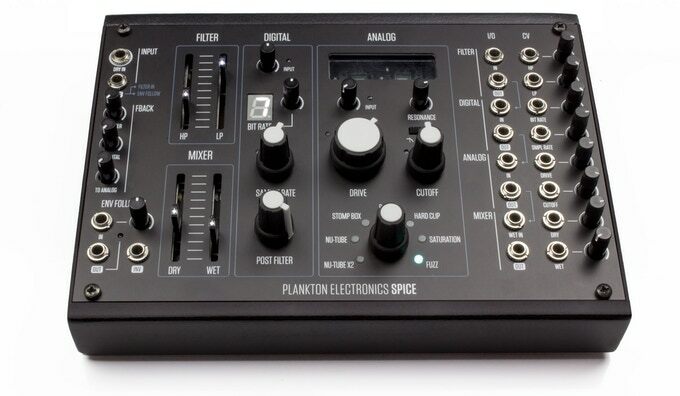 The big picture for SPICE from Plankton Electronics is modular distortion in an integrated, multifunctional design, with sounds ranging from digital crushing to tube distortion, ranging from warm saturation to grimy fuzz. 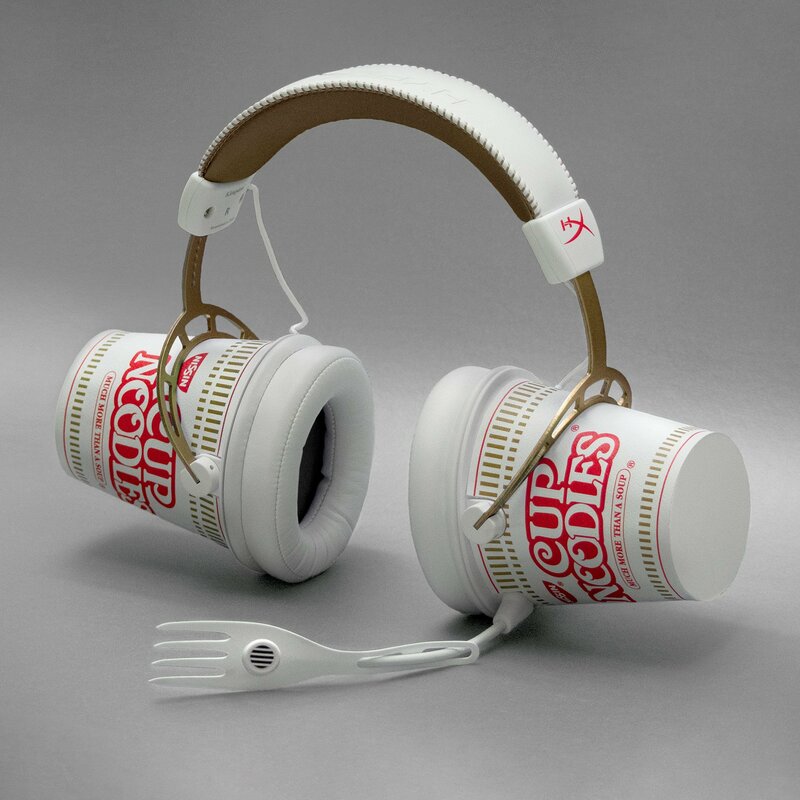 That functionality you can then get however you like. 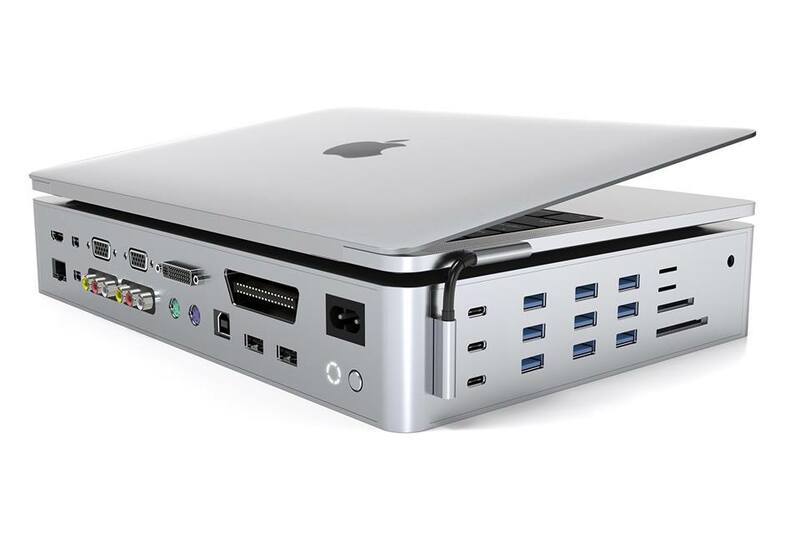 Want the whole thing as a single desktop unit? 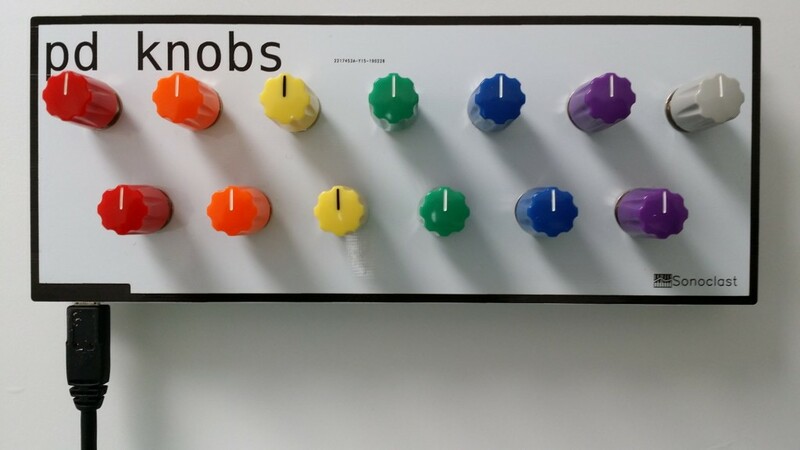 Go for it – even if you don’t own any other modular. 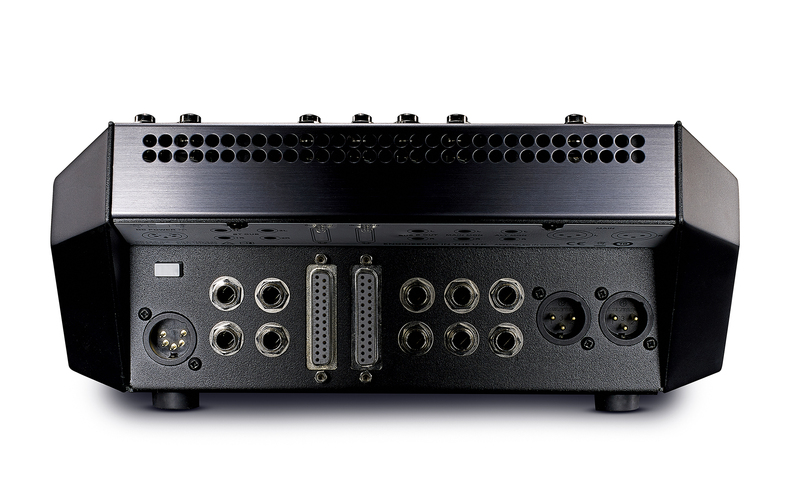 Want to take that same integrated unit and rack it? Done – as a 38HP Eurorack. 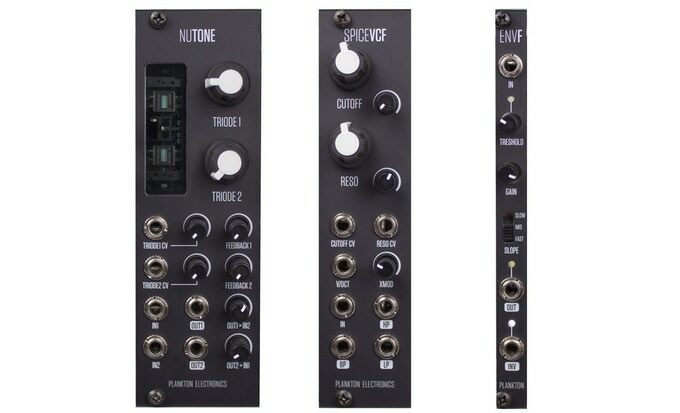 Prefer individual modules? Want them assembled? Want them as DIY kits you assemble yourselves? Every option is here. This is all partly the story of a tube from KORG – the Nutube. This new Japanese-made tube, drawing from fluorescent display tech, sounds like conventional tubes but has an atypically long life and dramatically smaller size. And it uses a tiny amount of the power of tubes – think 2%. 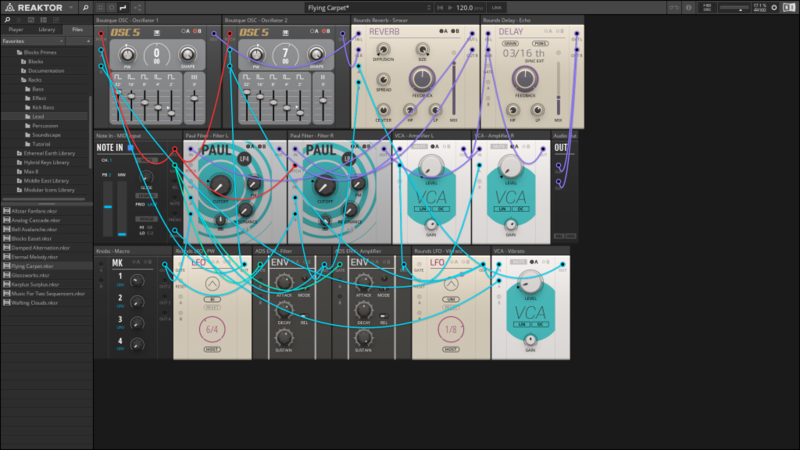 That’s not the only distortion / saturation on offer here, but it does allow a full complement of distortion types without requiring a bunch of power or space. And you can combine these in loads of different ways – which is where the modular bit comes in. You can choose digital or analog, mix and prefilter, or apply an envelope follower to shape the sound. And, of course, there’s feedback – lots of it. It’s technical semimodular in that it’s prepatched for a lot of functions, but you can modify it from there. 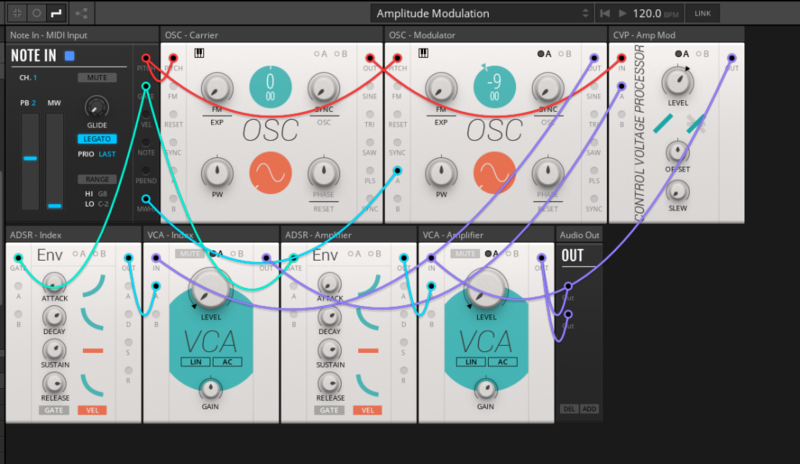 The tube module looks excellent on its own, but mostly I think the draw here is the combined distortion toolkit. I wasn’t so familiar with this Barcelona-based team before, but they’ve done some really nice work – and have gotten input here from a lot of our friends in the modular and synth community, from Endorphine.es to Befaco to Olivier Ozoux. And even before I heard from them, a couple of readers wrote hoping CDM would cover this project as they want to see it funded. I hear you – I do, too. Metapatch is a patch book, but in your browser. There’s 10 days left. They’re past the halfway mark, so let’s see if the CDM bump helps them out. 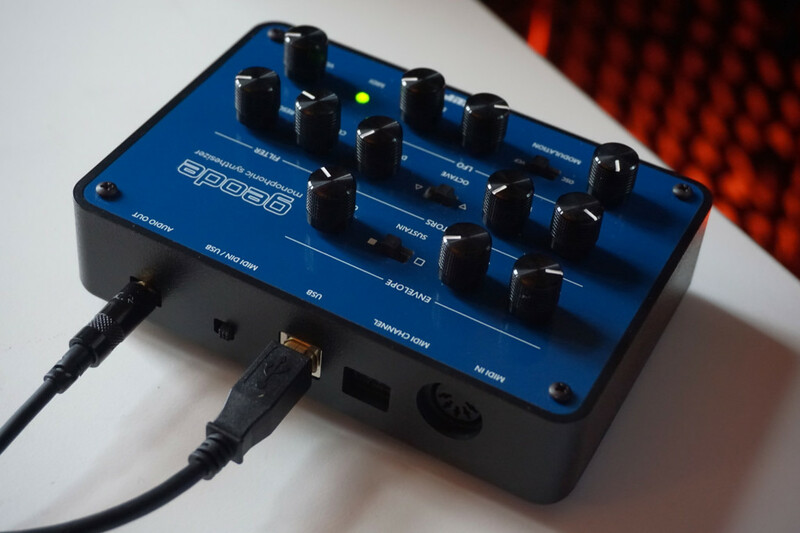 The post SPICE is a one-stop modular distortion box – and it needs support appeared first on CDM Create Digital Music. 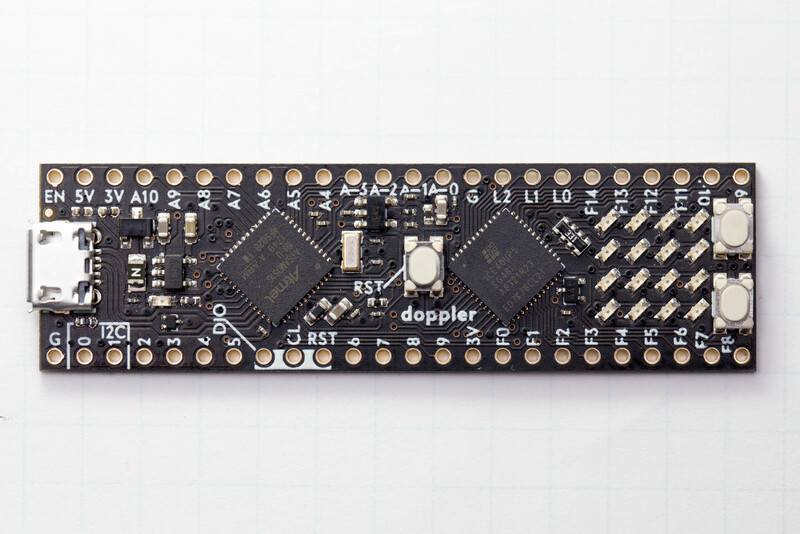 doppler is a small, 39EUR development board packing both an ARM microcontroller and an FPGA. It could be the basis of music controllers, effects, synths – anything you can make run on those chips. But first – why include an FPGA on a development board for music? The FPGA is a powerful but rarified circuit. The idea is irresistible: imagine a circuit that could be anything you want to be, rewired as easily as software. That’s kind of what an FPGA is – it’s a big bundle of programmable logic blocks and memory blocks. You get all of that computational power at comparatively low cost, with the flexibility to adapt to a number of tasks. The upshot of this is, you get something that performs like dedicated, custom-designed hardware, but that can be configured on the fly – and with terrific real-time performance. This works well for music and audio applications, because FPGAs do work in “close to the metal” high performance contexts. And we’ve even seen them used in some music gear. (Teenage Engineer was an early FPGA adopter, with the OP-1.) The challenge has always been configuring this hardware for use, which could easily scare off even some hardware developers. Now, all of what I’ve just said a little hard to envision. Wouldn’t it be great if instead of that abstract description, you could fire up the Arduino development environment, upload some cool audio code, and have it running on an FPGA? doppler, on a breadboard connected to other stuff so it starts to get more musically useful. Future modules could also make this easier. doppler takes that FPGA power, and combines it with the ease of working with environments like Arduino. It’s a chewing gum-sized board with both a familiar ARM microcontroller and an FPGA. This board is bare-bones – you just get USB – but the development tools have been set up for you, and you can slap this on a breadboard and add your own additions (MIDI, audio I/O). The project is led by Johannes Lohbihler, dadamachines founder, along with engineer and artist Sven Braun. See also the quickstart PDF. I’ve focused on the FPGA powers here, because those are the new ones, but the micrcontroller side brings compatibility with existing libraries that allow you to combine some very useful features. 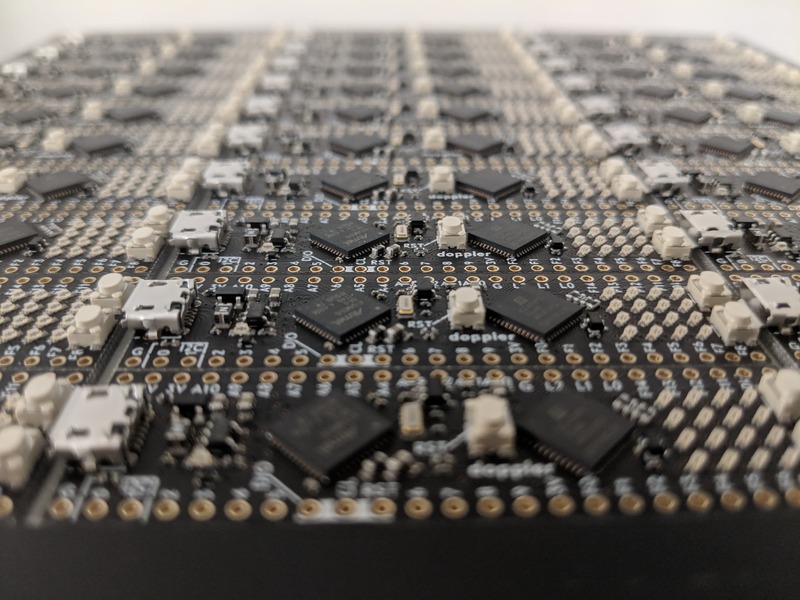 doppler is fully open source hardware, with open firmware and code samples, so it’s designed to be easy to integrate into a finished product – even one you might sell commercially. The software examples for now are mainly limited to configuring and using the board, so you’ll still need to bring your own code for doing something useful. But you can add the doppler as an Arduino library and access even the FPGA from inside the Arduino environment, which expands this to a far wider range of developers. In a few steps, you can get up and running with the development environment, on any OS. 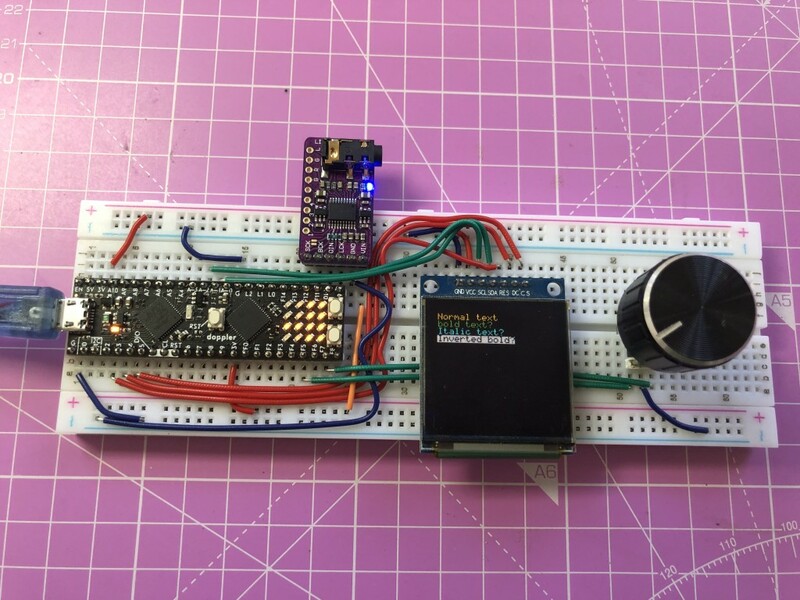 You’ll be blinking lights and even using a 4×4 matrix of lights to show characters, just as easily as you would on an Arduino board – only you’re using an FPGA. And lest you think this is going to be something esoteric for experienced embedded hardware developers, part of the reason it’s so accessible is that Johannes is working with Sven Braun. 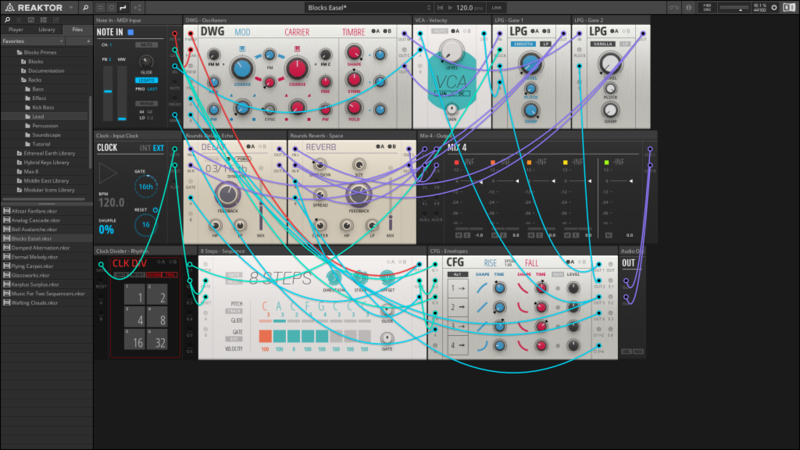 Sven is among other things the developer of iOS apps zmors synth and modular – so you get something that’s friendly to app developers. Johannes tells us there’s more to this than just tossing an open source board out into the world – dadamachines is also inviting collaborations. They’ve made doppler a kind of calling card for working together, as well as a starting point for building new hardware ideas, and are suggesting Berlin-based dadamachines as a “label” – a platform to develop and release those ideas as products. There are already some cool, familiar faces playing with these boards – think Meng Qi, Tom Whitwell of Music thing, and Ornament & Crime. Johannes and his dadamachines have already a proven hardware track record, bringing a product from Kickstarter funding to manufacturing, with the automat. It’s an affordable device that makes it easy to connect physical, “robotic” outputs (like solenoids and motors). (New hardware, a software update and more are planned for that, too, by the way.) 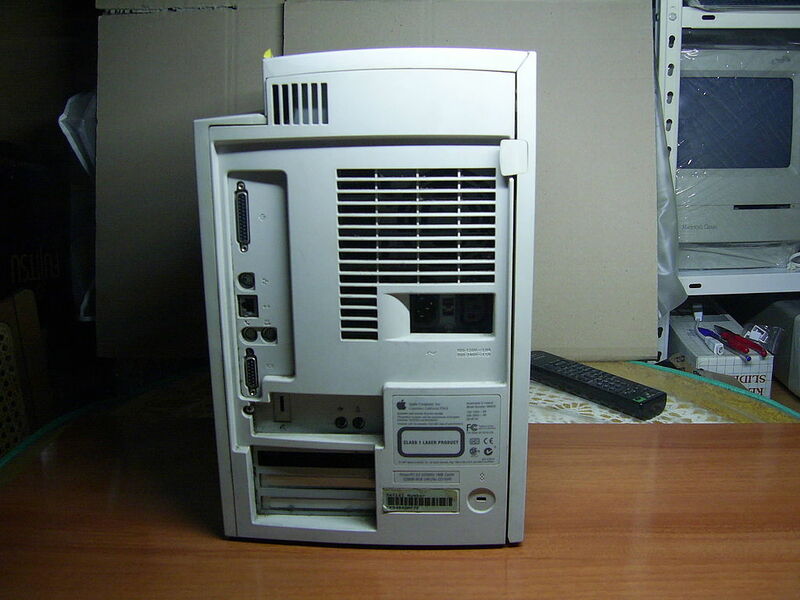 And of course, part of what you get in doing that kind of hardware is a lot of amassed experience. We’ve seen fertile open platforms before – Arduino and Raspberry Pi have each created their own ecosystems of both hardware and education. But this suggests working even more closely – pooling space, time, manufacturing, distribution, and knowledge together. This might be skipping a few steps – even relatively experienced developers may want to see what they can do with this dev board first. But it’s an interesting long-range goal that Johannes has in mind. Want your own doppler; got ideas? We have five doppler boards to give away to interested CDM readers. And stay tuned here, as I hope to bring you some more stuff with this soon. The post dadamachines doppler is a new platform for open music hardware appeared first on CDM Create Digital Music. The packed festival season is inbound, and whereas that once meant bands and crowd pleasers, now there’s a lot of advanced technology and electronic music – from SONAR to Superbooth to MUTEK to GAMMA to Moogfest, among others. I’m in another country this Moogfest, but if you splurge on an Engineer Pass, you get to make this and take it home with Moog calibration included. The lineup is filling out, too, with the likes of Daniel Miller, nd_baumecker, Jlin, Martin Gore, GAS, Mor Elian, and others (just to name a few favorites). 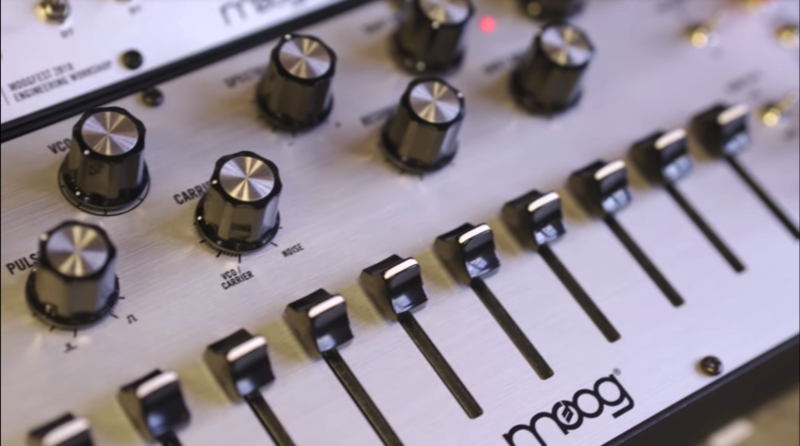 The post Moog teases spectral shift invention for Moogfest appeared first on CDM Create Digital Music. 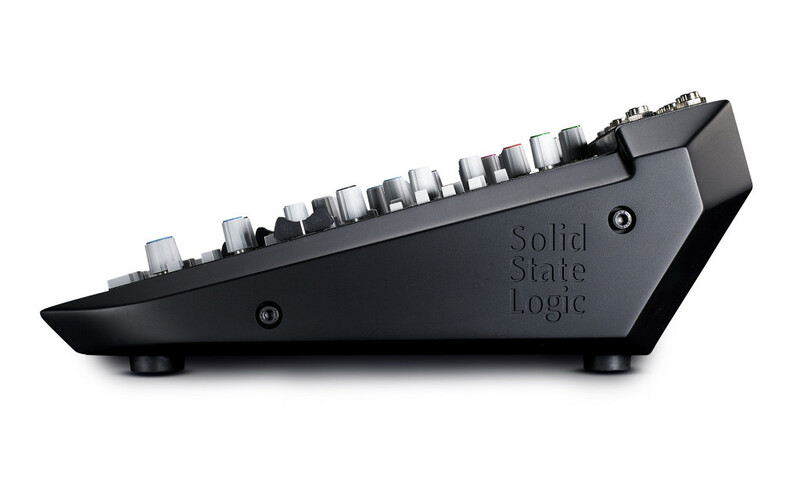 Few studio consoles are coveted quite like the Solid State Logic. But SSL have had the clever idea of cutting this down to a compact, still pricey, but luxe desktop mixer. And SiX is a good indication the console is back. But, you know, at that price we’re still talking something that’s in reach of a lot of independent producers. And it’s also in line with buying premium plug-ins, especially if you figure in the cost of hardware like UAD or a good audio interface. And instead of a picture on a screen of an SSL console, now you get the actual physical goods on your desk – with the actual circuitry, and no need to watch a DSP or CPU meter. If you’re not tracking a whole lot of stuff at once, this might be perfect. It certainly makes more sense than renting a studio just to use a couple of channels on their desk. I was skeptical at about the two-band EQ, but then SSL go into more detail – you can switch between shelf and bell curves with different center frequencies for each, so this two-band EQ is actually more versatile than a lot of three-band options. And SSL’s approach is basically, we’ll choose the EQ we think works musically for you, rather than you dialing it in. There are also routing options borrowed from the larger consoles – two stereo cue buses so you can make independent artist mixes, main and alternate monitor outs (with a source matrix), and mono check, dim, and cut. The fader channels also have real PFL (pre-fade listen), and the Mute button routes to Bus B – which can also be a record send for your DAW, or can get routed into the monitor matrix. And it’s really those routing options and details of the channels that might actually make this thing worthwhile in a project studio. 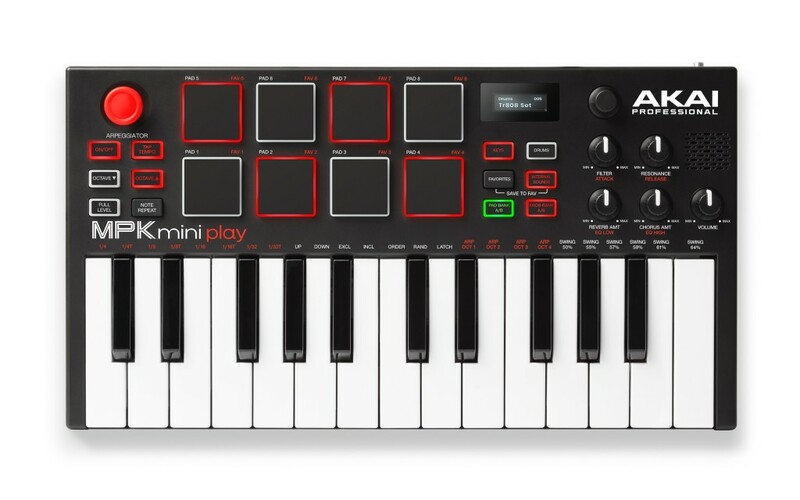 Do I think some rich producers who have no idea how to mix will buy this thing for the brand alone? Of course! But fitting intelligent routing options into a compact mixer and including SSL’s signature sounds – these are things I could imagine a mix engineer being happy to invest in. See also the recent SSL Fusion, which costs about two and a half grand, but gives you SSL’s drive, EQ, compressor, stereo image, and Transformer in a handsome rack. And there’s a message here: people are keen to buy hardware that lasts in place of software plug-ins. 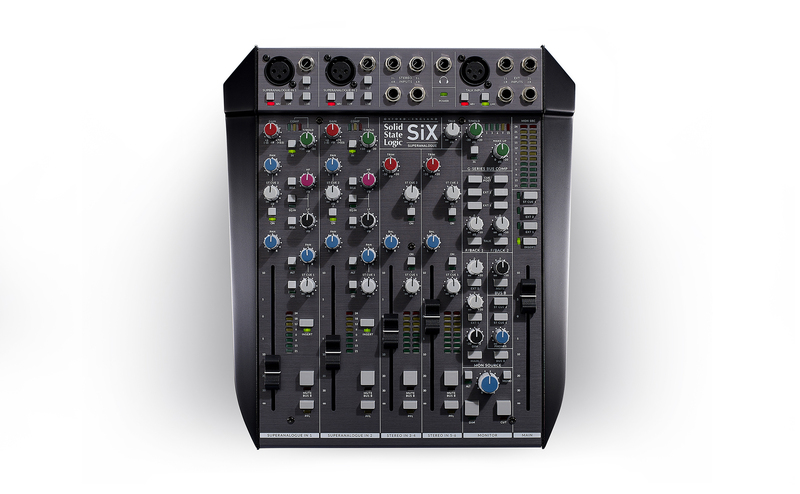 The post SSL SiX is a compact version of that legendary console goodness appeared first on CDM Create Digital Music. Here’s the full list of features. The big development was, at the last minute, Alex at Electron responded to overwhelming user requests to load your own samples. So that means in addition to multiple kits included in the box, you’ll be able to use a software editor to slice up and upload your own samples, as both loops and 1-shots – see screenshot. 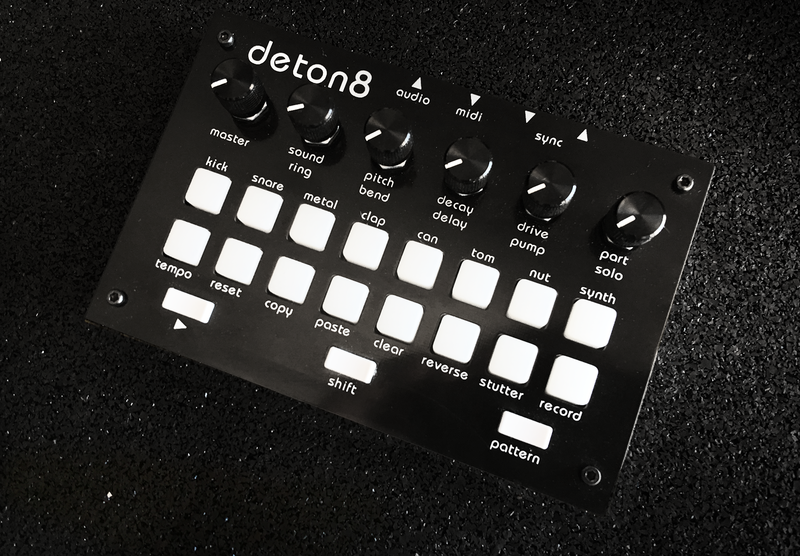 The post deton8 is a little drum machine with loads of soul appeared first on CDM Create Digital Music.